The Truth about Twin Flames is that when one is at the end of the karmic cycle and has resolved all of one’s Earthly lessons and karmas (including those connected with conventional 3D human love), Twin Flame Love, by way of the appearance of one’s Twin Flame, will trigger a series of processes that ultimately, if integrated into awareness – will take one directly to the Love of Source (or God). The purpose of this is so that the Oversoul of the Twins involved can have the fullest experience of life in the Reincarnational Cycle and then in the last life, the Twins become aware of each other, to ‘compare notes’ so to speak, to integrate the lessons, to step out of karma, to love and to ascend. Twin Flames are individuals from other Star Systems. Many do not know about this, because awareness of one’s Twin only becomes manifest in one’s last life, on Earth, prior to Ascension (whether that be Ascension after death, or Physical Ascension) and when one has ascended out of the amnesia of 3D Earthly Reality that causes one to forget one’s Origins, and one’s Twin. The truth is that many people search for their Twins, and want their Twins, or even create illusions that who they are with, is their Twin. The truth is that it takes a lot of awareness to discern the truth, and takes much spiritual wisdom, as well as evolution through Karma and The Wheel, and confusion and misunderstanding, can cause years, or decades, of being separated from Source Love or mired in karmic relationship. Any idea of a search for a Twin, is in fact, searching for one’s wholeness outside, and then one’s Twin may never appear, although other people may appear that are either soul mates (different that Twins) or karmic relationships (designed to resolve karma by way of intense karmic mirroring). 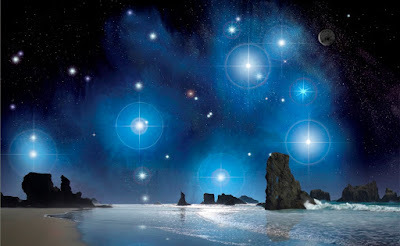 Some advanced souls on the Path of Ascension, not searching for a Twin, may then have the awareness that they have a Twin, which can sometimes come out of the blue. This is more likely to be authentic if one has not been looking for one’s Twin. If one is looking for a Twin, one will find a karmic relationship, a fake twin, or a soul partner, depending on one’s state of evolution and one’s karma. Fake (or counterfeit) Twins, appear as Twins, but are not, and prove to be karmic relationships of the most intense kind, or present the experience where one must deal with an astral imposter (someone pretending to be a Twin but is not). One can never find one’s Twin by looking for it, but instead, Twin Flame Love will make itself known when one’s karma is finished, or almost finished. The purpose of Twin Flame Love is to instigate a full merger with the Love of Source (aka God’s Love) once one has integrated the love of one’s Twin in the astral planes, which is invariably, where the awareness of one’s Twin manifests. Twin Flame Love is from another reality, from Source, from God, from the Twin’s Oversoul and is different than human love. Human love has its purpose, and can bring much happiness, but by and large, human love, comes with suffering, because of the karma of those involved, attachment, childhood issues, emotional learning and a wide array of other matters, that cause human love to show itself as impermanent. Human love, generally fades with time and does not endure across time, because humans, are living in time. Twin Flame Love, is different and purer than human love, and originates from outside of time, and space, and manifests when Twins are able in this life to ascend (or to be non-returners, of a death is necessary, to then fully ascend). It endures and once one is aware of it, and recognizes it for what it is – it does not go away. Some Twins can ascend without death (Physical Ascension) although that is a rarer phenomenon. When one emerges from karma, one then emerges from ‘3D time’ and then one discovers Twin Flame Love. The ultimate purpose is to integrate Twin Flame Love and by doing so, understand and ground in to the heart, Source Love (or God’s Love) and to become so intimate with God’s Love, one becomes purified of all suffering, all roots to karma, and everything that keeps one separated from God. Twin Flame Union cannot achieve this if the individual Twins are not karmically purified, and this is why actual Union is rarer than having the awareness of a Twin. Some people trip up looking for Union (being a Twin Flame Chaser) or run away from Twin Love (being a Twin Flame Runner) but neither state brings one in Oneness with Source Love. Sometimes, higher-evolved Twins find their Oneness with God as a result of the awareness of their Twin, and whether they reunite or not on Earth, for the rest of their days, they will only know God’s love and can be healed of everything in this world. Those in the push-pull dynamic of Twin Flame chasing or running are in separation from Source Love, and healing the dynamic, by transcending it, will take one to Source Love and then one will be filled up by the love of one’s Twin whether they are incarnated (or not – some people have Twin counterparts that are ascended). Twin Flame Love can, and does, heal one of all of one’s karma, and that is its very purpose, and if one is grappling with the last of one’s karma, Twin Flame Love is the healing for the remainder. Some Twins can be afraid and thus have a difficult healing, that is because the purity of Twin Flame Love (by way of the wisdom aspect) is a strong mirror for healing and the love aspect, is the reflection of one’s state with Source (God). When one has healed one’s connection with God, fully, one will be able to experience the love of one’s Twin in fullness, and from there on, one will remain only with Source Love forever, and that Twin will not have to return to this world. Thus Twin Flame Love has nothing to do with being a light-worker or a beacon to the world, nor is it about experiencing a more romanticized version of the imagined perfect relationship in the 3D, but instead it is about purifying one’s being for Ascension and thus it is a rare phenomenon (more common in these times because the end of the karmic cycle is here, so many souls are finding they have Twins in this life, whereas centuries ago, it would have been extremely rare). Twin Flame Love is the gateway to a world beyond time and space, and enables Twins to more fully perceive the Ascended Realms, and to live from Source Love, and to experience the love of Star Beings, and is the gateway out of karma. Twin Flame Love cannot be described in any language that defines human love, for it is ineffable, of its own nature, not of this world, timeless, wordless, and is a love that transcends ordinary reality, and can only be known, by the Twins. Twins do serve the collective, but not in obvious ways, and their service, is often more of an invisible matter. It is not of this world, but can be experienced in this reality, usually by way of massive mystical experiences, that can persist for a lifetime. Those who integrate Twin Flame Love into their awareness will have the most pure, and highest grade, mystical experiences, and ongoing. They will be able to know their unbroken connection with Source, perceive loving angelic beings, and Star Beings, and may glow from within, or see the Inner Suns, or even journey to the Central Galactic Sun. They will experience the vibration of Universal Love and Forgiveness, and be loved by God, in each day of one’s existence, and this is the fruit of the gift of receiving love from one’s Twin, either here, or in the astral. Those who fully integrate and receive their Twin’s Love, will experience one’s Twin either as a glowing luminous being that visits often, or as an essence, that is in one’s heart, and remains there, as loving awareness, as a mirror of a love from another reality. The Truth is that Twin Flame Love is a blessing from the Universe, and the healer of all things, and is the product of the completion of one’s karmic evolution, loving oneself, loving Source and loving one’s Twin unconditionally. Then Twin Flame Love will enter one’s being, from another world, another reality, from Source, and bring one into the full Oneness of Source.